Belfast's bi-annual International Tango Festival in 2018 will feature one of the most famous and favorite couple among tangueros all over the world Maja Petrovic and Marko Miljevic. 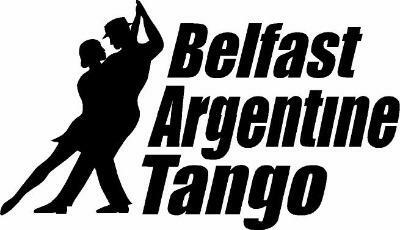 Have a great tango weekend in one of Europe's friendliest cities with the possibility of also visiting some of Belfast's great attractions. Since walking and embracing are the essence of tango, in this lesson we will focus on how to walk elegantly and effortlessly in close embrace. Through different exercises (alone and in couples) we will show you how to make and keep a comfortable and soft close embrace and also work on the technique of walking, both for leaders and followers. In this lesson we will focus on finding and keeping a clear presence and strong connection in the couple. As presence we define the way of carrying and using our own bodies while dancing. The connection is created when two present bodies, aware of each other, hug. We will go through different exercises (both alone and in couple) for body awareness, communication, musicality and technique of walking. If the time allows, in the end of the lesson we will walk in close embrace. In this lesson we will show you one of our favourite figures. By analysing it into details, we will explain the idea of a smooth circular movement in close embrace. This combination will give you a possibility to add some vertical change of dynamics to your dance, which comes in very handy at crowded milongas. We will also spice it up with different entries, exits and embellishments. If you are bored with regular milonga steps this is a workshop for you! We will share a few playful combinations of embellishments in close embrace which you will be able to further develop on your own. Here we will show you how to break the usual patterns in giro through different intensity of the embrace. We will use the embrace to "block" the giro in different moments, without loosing the circularity and the connection. Through a fun pattern of steps we would like to break the habit of having only “open” and only “closed” side of the embrace. Depending on how equally we use both sides of our embrace, we will influence the shape of the steps. If the time allows us, we will include an embellishment to spice up the combination. Balance in Classes We encourage you to book with a partner to ensure balance in classes. Taxis will not be provided. COUPLES CAN BOOK TOGETHER IN TANGOPOLIX OUR OFFICIAL FESTIVAL EVENT ADMINISTRATOR. There is a Restaurant and Bar within Belfast Castle that will be open during the Festival.